AT&T has successfully completed a millimeter wave mobile 5G browsing session with a 3GPP 5G NR standards-based device the NETGEAR Nighthawk® 5G Mobile Hotspot on a mobile 5G network earlier this week. In September, AT&T had completed first wireless 5G data transfer over millimeter wave connecting to standards-based mobile test equipment in Waco, Texas. AT&T plans to offer 5G services to customers in a dozen cities this year and is adding Charlotte and Raleigh, N.C. and Oklahoma City as the next three identified cities for its 5G plan. These cities join previously announced cities of Dallas, Atlanta, and Waco. As part of 5G Evolution strategy, AT&T continues to evolve it's LTE network and has announced 117 new markets which will have theoretical peak speeds of up to 400 megabits per second for capable devices using LTE Advanced features like 256 QAM, 4x4 MIMO, and 3-way carrier aggregation. AT&T has launched a 5G Evolution capable mobile hotspot NETGEAR router in U.S. this Friday. For a limited time, the NETGEAR Nighthawk Mobile Hotspot Router will be available exclusively from AT&T. 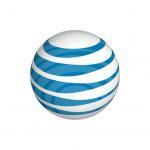 US carrier AT&T has completed deployment of its nationwide LTE-M network ahead of schedule to enable a new generation of Internet of Things (IoT) devices and applications. The LTE-M network is now live across the U.S. on operator's nationwide 4G LTE network, following software upgrades. AT&T is introducing a new family of LTE modules to meet the needs of a broad range of Internet of Things (IoT) applications. The new modules offer multiple options and can run over the AT&T 4G LTE network, so IoT devices can transfer information more efficiently. U.S. carrier AT&T plans a live, on-site trial demonstration of LTE Broadcast for invited guests during the college football national championship game at AT&T Stadium January 12.